I was brought up in Coleraine, close to the causeway coast where Game of Thrones is filmed. It wasn’t on the frontline of Northern Ireland’s ‘Troubles’ – only getting bombed in 1973, 1975 and 1992. I was an obsessive reader from an early age and wrote a lot as a child but when I moved to England, aged 19, I lost my voice. It was ten years before I found it again, when my partner of the time bought me a weekend writing course for my 30th birthday. It got me writing again. On and off to begin with. But then I joined a weekly creative writing group in Highgate and began writing my first book, Funny Peculiar. Funny Peculiar was published in May 2008 under the name Constance McCullagh. Told with dark humour, it is based on my own experience of resisting the shame of sexual abuse and fighting for a life of my own. Funny Peculiar reflects the world that shaped me, the passions that inspired me and the relationships that sustained me. It is an antidote to the often depressing and dispiriting ‘misery memoirs’ about child abuse on the market. My work often explores how people deal with the losses that we all experience at times. My first novel, Golddigger, published in May 2015 by Bella Books, follows the attempts of a young Irish woman, Frances Moriarty, to claw out a new life in America after her whole world is devastated by the Irish famine. After living in England for more than 25 years I returned to Ireland to have more time to write. It has enabled me to finish Golddigger, begin work on my next novel and start writing for the stage. My first play, Life and love: lesbian Style, was performed at the International Dublin Gay Theatre Festival 2014, Belfast Pride and the WOW Festival in Derry. It draws on interviews with lesbian and bi women in Ireland and England as well as incidents from my own life to explore the ups and downs of lesbian existence. I have also written two verbatim plays about the lives of LGBT people. The first, Lives Under the Radar, drew on stories of people from Strabane and Sion Mills and was performed at the Alley Theatre in Strabane in February 2016. The second, Out Loud, explored the lives of LGBT people in Derry and was performed in Derry Playhouse in February 2017. Both were supported by Derry City and Strabane District Council among others. During 2016, I developed a play about the clash between the LGBT community in Northern Ireland and religious fundamentalism, with the support of the Arts Council NI. The Pirates of Portrush was performed at The Barracks in Belfast in December 2016. 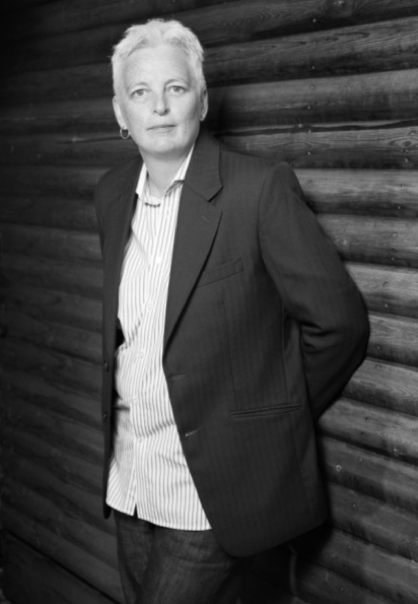 Since moving to northwest Ireland, I have contributed to the development of LGBT creative voices as a founding member of Foyle lesbian and bisexual women’s writing group and northwest LGBT playwrights and as a board member of Outburst Queer Arts Festival. I have been a feminist activist on the issue of violence against women and children for more than 25 years. I have also been involved in combating other forms of discriminatory violence including homophobic and racist attacks and violence and hostility against disabled people.